Today we're pleased to welcome creator of the Pacific Northwest Cheese Project, author, and all-around cheese wiz Tami Parr as our guest blogger. 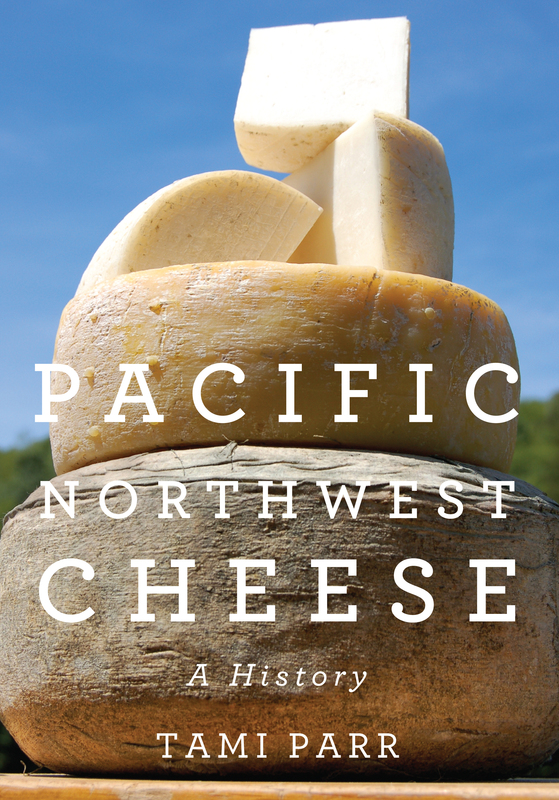 Tami's new book, Pacific Northwest Cheese: A History, was released in September by OSU Press. 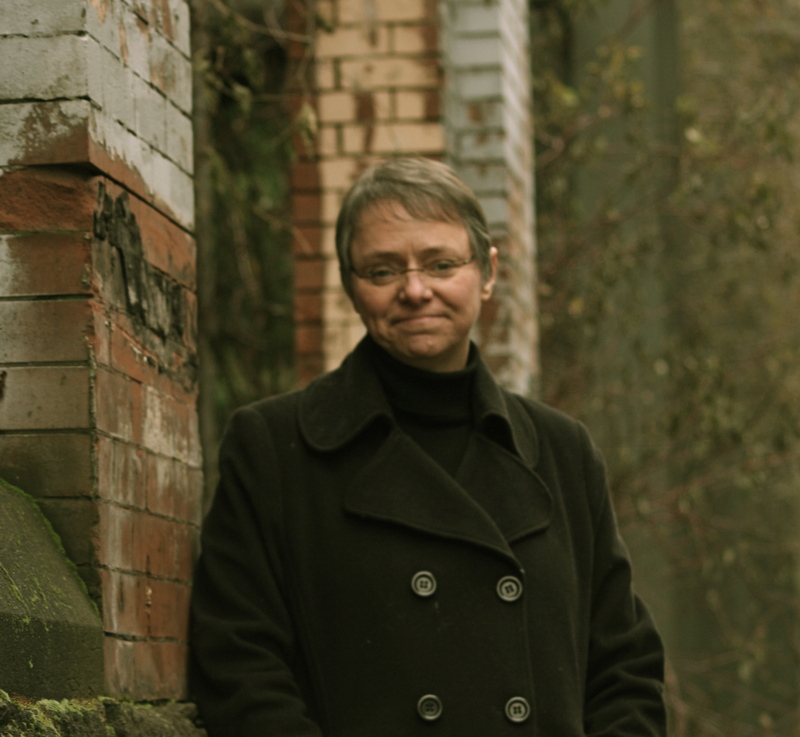 Tami will be a featured author at the Pacific Northwest Booksellers Association conference in Portland next month. I KNEW THAT if I wrote a history of regional cheesemaking, readers were going to want to know who was the region’s first cheesemaker. But in the early stages of research, I worried over how I could possibly sort out the answer to that question. After all, there were hundreds of dairy farmers that came to in Oregon Country in the nineteenth century and any one of them could have been “the” one. Worse, the moment would probably not have been recorded. How would we ever know? As it turned out, the answer to the question “who was first?” came much easier than I thought. In fact, it turned out to be one of the easiest research problems that I solved while writing this book. The answer came in several steps. In thinking about dairying in the Pacific Northwest I first considered that the native populations of the region lived off of the land and did not keep domesticated animals for food consumption. So clearly there were no cheesemakers among the Native American populations of the Pacific Northwest. In fact, dairy animals—cows, sheep and goats—were brought to the New World, and the Pacific Northwest, by Europeans. So I knew that elusive first cheesemaker would be found among the earliest Europeans who came to the region. What next? We know that thousands of people came to the Pacific Northwest over the Oregon Trail during the mid- to late-nineteenth century, so it was tempting to look among those early homesteaders to find the earliest dairies and cheesemakers. Fast forward for a moment to the twenty-first century…. if you’ve ever been to Vancouver, British Columbia you may know the Hudson’s Bay Company as a big department store on Granville Street, but in fact it’s one of the oldest corporations in existence. First founded, or “chartered” as they liked to say, in 1670, HBC was a global fur trading concern during the eighteenth and nineteenth century. During the eighteenth and early nineteenth centuries, many different countries were vying for control of the region we now call the Pacific Northwestern United States. 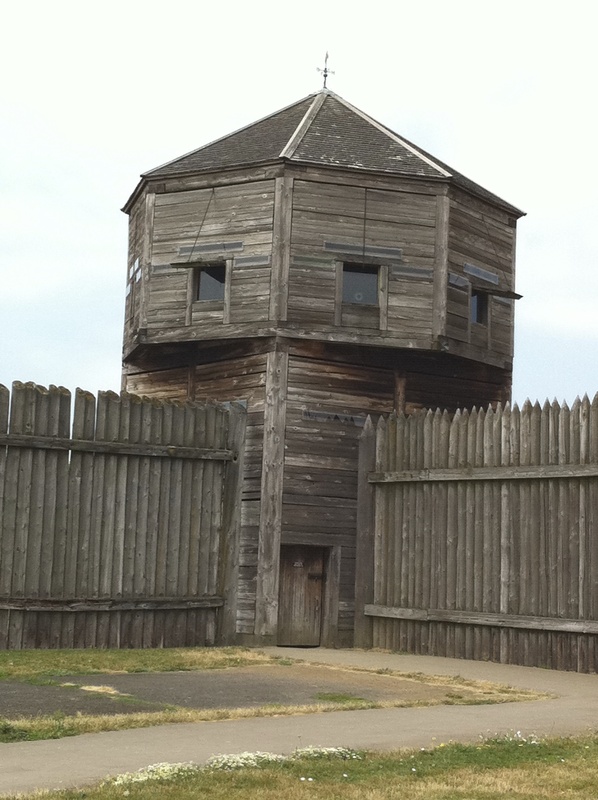 HBC fur trappers were among the first Europeans to reach the region and they established Fort Vancouver in present day Vancouver, Washington in 1824-5. What I hadn’t realized prior to doing research for this book is that, in addition to fur trapping and trading, the Hudson’s Bay Company also conducted extensive farming operations at Fort Vancouver and other sites around the Pacific Northwest in order to support its trading operations. HBC grew wheat, barley, peas as well as keeping large herds of cattle, sheep and goats. While I wasn’t able to find any mention of making cheese (or eating cheese, for that matter) in the letters of John McLoughlin, Chief Factor at Fort Vancouver, a number of visitors to Fort Vancouver in the 1830s and 1840s mention the large on-site dairy and cheesemaking operations (very helpful for later research, thanks Narcissa Whitman!). One of the fun things about doing research on the Hudson’s Bay Company is that they kept meticulous records. I spent many hours at the Fort Vancouver research center combing through microfilm of nineteenth century inventory records, which list numbers of animals kept at every HBC establishment in the region. These records confirm the presence of dairies and dairy equipment at the Fort, as well as its satellite dairy operation on Sauvie Island. If you’ve ever delved into your family history you already know that historical research is part detective work, part futility, and you’re often crossing your fingers hoping you will find that one bit of information that leads to something interesting. In this case, I’m thrilled that I was able to put a few pieces of information together and come up with an answer to a very important question! A Facebook friend writes of spotting “thousands of red dragonflies at a beach south of Seal Rock, all heading south and none stopping for anything.” In recent days, similar sightings have been reported in Cannon Beach, Neskowin, and other locales, from southwest Washington to the central Oregon coast. Dragonfly migration is underway. Less heralded than the annual migrations of gray whales along the Oregon coast—a phenomenon that now has its own trademarked web site (Whale Watching Spoken Here) and a corps of hearty volunteers—dragonfly migration is no less spectacular. Timing and numbers vary year to year, but 2013 appears to be a major migration. At the onset of fall cold fronts, the main species involved, the Variegated Meadowhawk, seems to funnel to the coast and head south. But beyond that, little is known about these fall migrants. 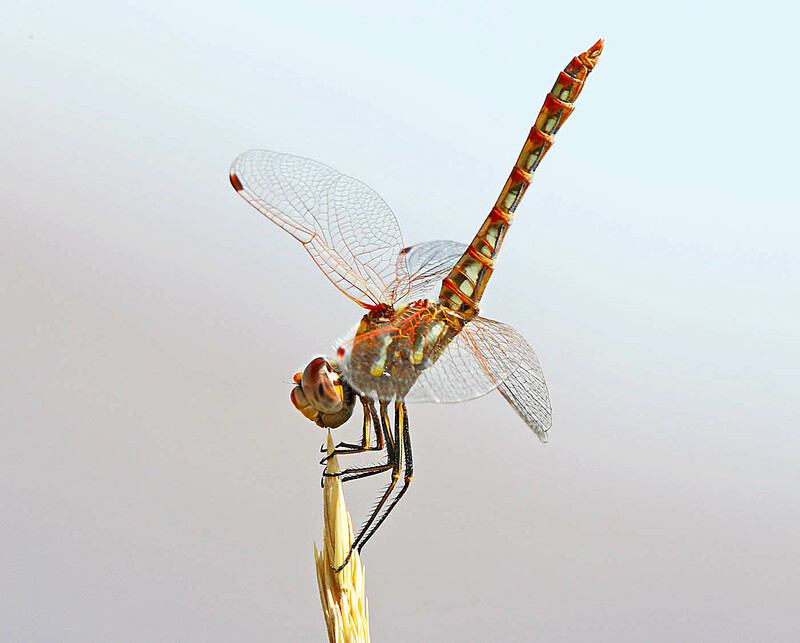 Scientists have tried various methods of tracking dragonfly migrations with little success. Now, a partnership has formed to solicit the public’s help to better protect and sustain this phenomenon. The Migratory Dragonfly Partnership offers an opportunity for people to collect and record dragonfly migration observations. Citizen scientists monitor the timing, duration, and direction of travel of migrating dragonflies, and note any additional behaviors observed in migratory flight such as feeding or mating. 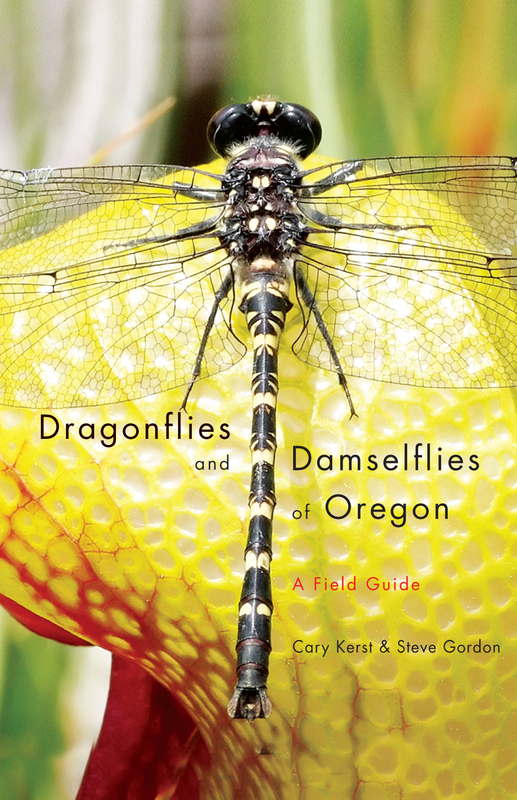 Learning to identify the main migratory species of dragonflies is an essential first step in migratio n monitoring, and for Oregon there’s no better place to start than the Kerst and Gordon guide. It includes full color photographs of all species found in the state, along with helpful illustrations and charts showing important identification characteristics. The book also features descriptions of the thirty best sites in Oregon to observe these amazing insects, a useful tool for viewing uncommon species in spectacular settings. 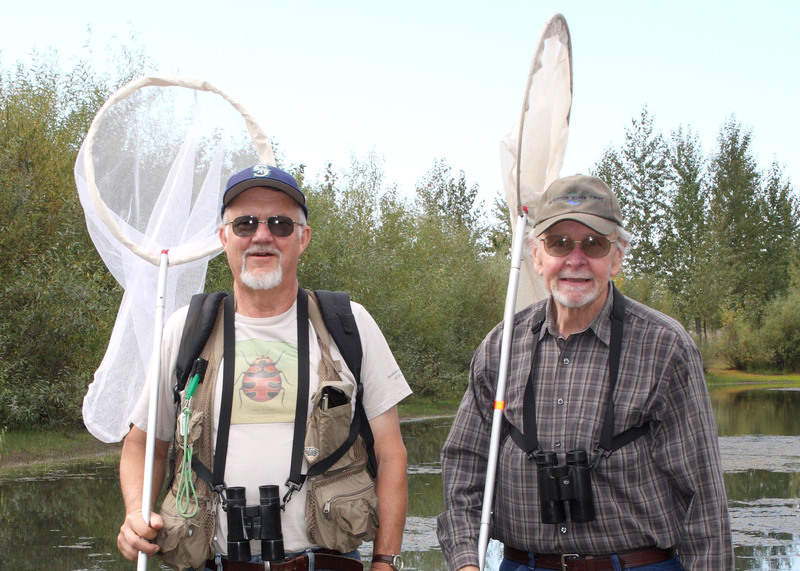 With sufficient participation in migration monitoring, it’s not hard to imagine a future in which volunteers line Oregon dunes each fall wearing “Dragonfly Watching Spoken Here” t-shirts and introducing curious onlookers to the wonders of dragonfly migration.